I consider it a privilege to be a plastic surgeon. 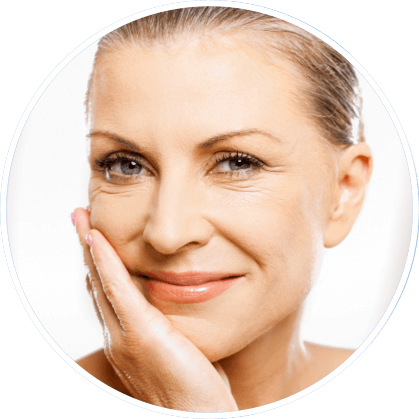 At its essence, plastic surgery is a specialty designed to improve quality of life. It’s very fulfilling to give my patients a new outlook on life. I am very careful to listen to my patients and make sure that I clearly understand their expectations and use that information to determine who is a good candidate for plastic surgery. I specialize in creating a very natural, highly individualized result for my patients. I feel strongly that a “cookie-cutter” approach to surgery is not what highlights a person’s assets to their best potential. Therefore, each surgery I perform, whether it is a complete facelift or a breast augmentation, is done with careful thought and consideration to highlighting that person’s existing features so that his or her result is beautiful, natural and highly individualized. Safety is something that I refuse to compromise on and I always insist upon using a certified anesthetist or anesthesiologist during all of my procedures. I am proud to be a founding member of the Dallas Day Surgery Center, a fully accredited surgery center that provides the highest level of patient safety and the most advanced surgical equipment that cosmetic medicine has to offer. As you will see throughout this site, I am involved with several professional organizations and educational institutions. I am a founding member of the prestigious Dallas Plastic Surgery Institute, a group of ten plastic surgeons. I am continually exposed to the latest advancements in plastic surgery – both good and bad – and am very selective of the procedures I will perform. I must be convinced that a procedure is safe, effective and beneficial to my patient before I will perform it. Please take the time to explore my website. I firmly believe that the field of plastic surgery has a bad side – there is quite a bit of gimmicky, well-marketed misinformation out there and it is up to you, the consumer, to sift through and determine right from wrong. I will always strive to communicate openly, honestly and effectively with my patients, so that they can feel confident in the information they receive from me. Knowledge is power and elective surgery should be carefully considered. Rest assured that I strive to provide superior, compassionate care. My goal is to do all that I can to ensure that the surgery you are considering is a good option for you. While I may not offer every quick fix, understand that this is indicative of my scrutinizing, conservative approach. Quite simply, I want your results to be beautiful and provide lasting benefit.